I needed an audio book to listen to on a recent drive to Atlanta. 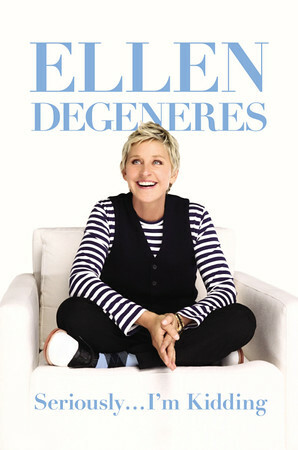 I’ve never read any books by Ellen DeGeneres, but I love her talk shoe, so Seriously…I’m Kidding sounded like a good choice. It was perfect. It’s a short book (or listen) at just about 4 hours. I was able to listen to the whole book on my roundtrip. Ellen is so nice. This book is so nice. It’s little stories and essays about things Ellen feels like writing about. Ellen is narrating the book and that makes it even more enjoyable. There are special features that she includes just for the audio book. She also tells you what things you might be missing from the print book. This is not a laugh out loud book, it’s more of a smile book. It was enjoyable and entertaining, nothing earth shattering, just nice. *Disclaimer – Amazon links are affiliate links! Thanks for clicking through and helping to support this blog!